View the product image above and check out the precise details and craftsmanship put into this remarkably durable hunting canteen. 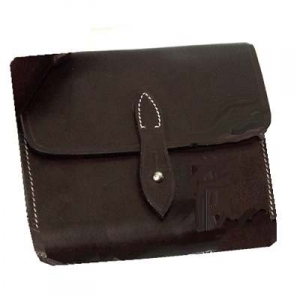 All of the Leather Hunting Canteen for Ladies and Junior that we offer are high-quality horse products. Here at Horse Tack Now we offer excellent Horse Tack equipment and Leather Hunting Canteens. At Horse Tack Now you will find all kinds of premium quality horse tack products. This Ladies/Juniors canteen will provide your family with many years of usage. This is a premium quality product made of genuine leather.